The last military head of state before the present fourth republic was Abdulsalam Abubakar. The military government — in handing over to civilians — created the present 1999 Constitution. This constitution is just a resuscitation of the 1979 Constitution. As a result, many of the features of the 1979 Constitution are present in the 1999 constitution with just some few additions. However, unlike the Second Republic, judges in the Fourth Republic were more activist when interpreting ouster clauses. They always found ways to protect the court’s jurisdiction even though it is ousted. This Constitution is supreme and its provisions shall have binding force on all persons and authorities throughout the Federal Republic of Nigeria. If any other law is inconsistent with the provisions of this constitution, this constitution shall prevail, and that other law shall to the extent of the inconsistencies be void. From the foregoing it can be seen that the Nigerian 1999 Constitution is the highest law of the land. Thus all persons and laws are bound by the provisions of the Constitution. Furthermore, the Constitution provides in S. 4 (8) that the exercise of the legislative powers shall be subject to the jurisdiction of the court. It further bars the legislature from enacting any law that ousts or purports to oust the jurisdiction of the court or a judicial tribunal established by the law. Thus it can be construed that the Nigerian constitution gives no room for ouster clauses in statutes. 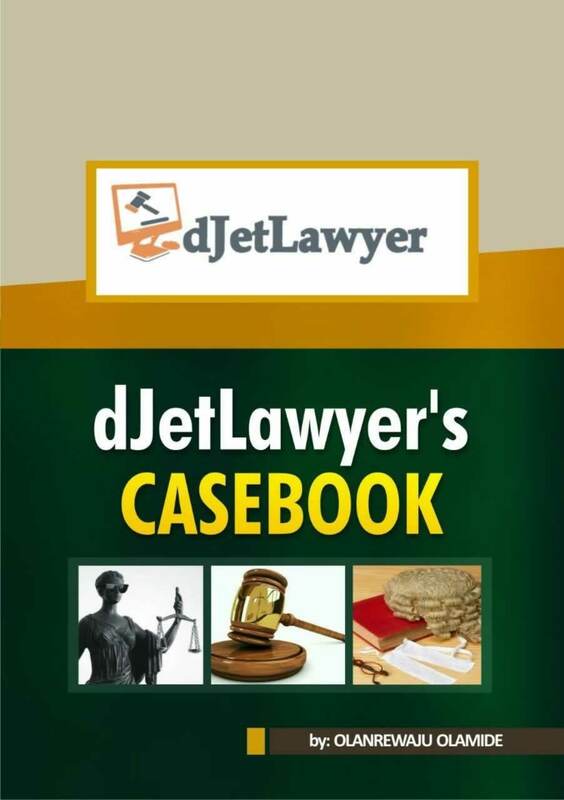 The constitution in the provision of S.6(6)(b) also extends the jurisdiction of a court of law to all matters between persons, authorities and government in Nigeria and to all proceedings in relation for the determination as to the extent of the civil rights and obligations of such person. This gives the courts wide jurisdiction to act in all matters except otherwise provided by the constitution. Although The Constitution prohibits ouster clauses by the legislature, it contains series of ouster clauses. These numerous ouster clauses shall be subsequently highlighted. One of such ouster clauses is the provision of S.6 (6) (c). This provision restricts the court’s powers from determining any issue as to whether the fundamental and directive objectives of state policy as contained in Chapter II of The Constitution has been implemented or carried out. This rationale behind this can be said to be due to the fact the items listed in Chapter II are items which measure the performance of a particular government. For example, S. 16 (2) (b) provides that the state policy should be directed at ensuring that the material resources of the nation are harnessed and distributed as best as possible for the common good. Would it not then be absurd if a case is brought to court that the material resources of the nation are not well utilised? The measurement of the extent of the utilisation of the country’s resources is at best subjective. The court’s jurisdiction is thus ousted from this situation in order to prevent the court from being used as a political tool and as a centre of absurdity. The Constitution in the provision of S. 6 (6) (d) also ousts the Court’s jurisdiction from determining the validity of existing laws made during the military era. This ouster of the court’s jurisdiction is very sacrosanct. If laws made during the military regime could be challenged in court, even the constitution is not safe. This is due to the fact that even the constitution itself is the product of a military decree. Thus, entertaining questions concerning the validity of military decrees will also most likely lead to chaos. Even the validity of judges appointed by the military will be questioned. Another very important ouster clause that has had the most reaction from the judiciary is that which deals with removal of the chief executive. This ouster clause is contained is S.143 (10) & S.188 (10) CFRN 1999(as amended) which relate to the removal of the President and Governor respectively. These sections provide that no matter concerning the proceedings or determination of the legislature or the legislative panel in relation to the impeachment sections should be entertained in a court of law. This means that the court’s jurisdiction is ousted in cases that have to do with impeachment proceedings against the chief executive. This above constitutional ouster clause is the one that has received the most attention in the courts in the Fourth Republic, most especially S.188 (10); due to the fact that there hasn’t been a situation where the President has been impeached. Thus S. 188 would get the most attention. It would be used as a benchmark to measure the reaction of the courts in the Fourth Republic to ouster clauses. One of the first cases in relation to this section in the Fourth Republic is the case of Chief Enyi Abaribe v. The Speaker, Abia State House of Assembly and Ors. In this case, the court in interpreting the provisions of S.188 (10) reiterated the fact that a case cannot be brought before it concerning the affairs of legislature in the process of impeachment. The court held that its jurisdiction was effectively ousted. However, it should be noted that the issue concerning whether the provisions of S.188 (1) – (9) were followed was not raised before the court. Thus, the reason for the court declining jurisdiction. In the subsequent case of Jimoh vs. Olawoye, the court had to interpret the provisions of S.26(10) of the Local Government Law of Kwara State 1999 which is an ouster clause similar in provision to S.188(10) & 143(10) of the 1999 Constitution but in relation to a Local Government Chairman. 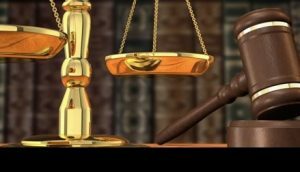 The court held that the ouster clause in S.26 (10) of the Kwara State Local Government Law will apply only when the provisions of S.26 (1) – (9) which listed the procedure for removal have been complied with. 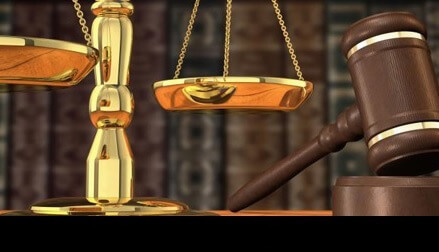 The court was also of the view that the provision of S.26 (10) of the said law was null and void as it was in conflict with the provisions of S.4 (8) CFRN 1999 (as amended) which bars a legislature from ousting the court’s jurisdiction. Since the law was made by a State House of Assembly, it was thus in conflict with the constitution and was also declared null and void. This case of the Court of Appeal seemed to be a paradigm shift in the way the court viewed ouster clauses. Unlike the previous cases like that of Balarabe Musa vs. Hamza and Chief Enyi Abaribe v. The Speaker, Abia State House of Assembly and Ors where the court surrendered unquestionably to constitutional ouster clauses. The court in this case doesn’t surrender unquestionably, rather it qualifies the application of the ouster clause to the obedience of the law. The above judicial opinion delivered in Jimoh vs Olawoye was further solidified in the locus classicus Supreme Court case of Inakoju vs Adeleke. In a leading judgement by Tobi JSC, the court decided that the ouster clause in S.188 (10) will only be applied if the provisions of S.188 (1)-(9) which outlines the procedure for removal of the governor has been duly complied with. If the facts of the case show that the provisions of the Constitution were flaunted, the court would wade in to correct the anomaly. This judicial decision was also applied in subsequent cases like Dapialong vs Dariye and Ekpeyong vs Umana. Thus, from the above it can be seen that the attitude of the courts towards ouster clauses in the fourth republic is a bit different from that experienced in other democratic periods in Nigeria. The courts — unlike during the second republic — did not bow unconditionally to ouster clauses. The court rather qualifies them and at the same time seeks to protect the constitution and prevent lawlessness by the political class. The court in order to salvage this democracy has decided to interfere in political matters unlike in the second republic as evidenced in cases like Onuoha vs Okafor. Constitution of The Federal Republic of Nigeria (promulgation) Decree 1999. (2002) 14 NWLR (Pt. 738) 466 at 492. (2007) 4 NWLR (pt.1025) 423. (2010) All FWLR (Pt. 520) 1387 at 1397 paras. GH.